Auf Widersehen Monty takes up the story just after Monty has sucessfully escaped from jail and has managed to flee to Gibralter. 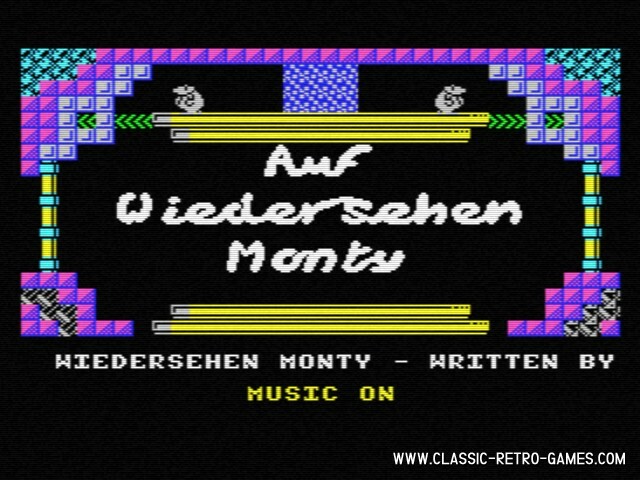 The sequal to Monty on the Run, this game has a whopping seventy nine screens, (each of which depict a different area of Europe). Currently rated: 3.8 / 5 stars by 46 gamers.